Elko Veterinary Clinic is an aggressive mixed animal practice specializing in both small and large animal medicine and surgery. The facility is completely computerized with digital radiography, endoscopy, ultrasound, ECG, large and small dentistry a complete In-house laboratory, and companion Laser Therapy. *Emergencies are accepted anytime our clinic is open. If you feel you have an emergency with your pet, please call us or come to the hospital immediately. If possible, it is best to call before coming in so that a team member can advise you on your particular emergency and we are able to prepare for your pet. Once an assessment is done on your pet an estimate of the health care plan will be done. You will be asked to sign and authorize the estimate for the plan and payment in full will be collected at the time your pet is discharged. Our surgeries are scheduled Monday through Friday and we schedule up to 5 surgeries a day. Check-in time for surgery starts at 7:00 am and ends at 8:00 am. You will be scheduled a check-in time for your pet, this time is set aside especially for your pet so please be on time. If your pet is having a surgical procedure done, we ask that you not feed them past 9:00 pm the night before surgery since they will be going under anesthesia. EXCEPTIONS FOR THIS ARE: If your pet is a diabetic please feed them with their medication at least half their normal amount. If your pet is on any medication which needs to be taken with food please give them their medication with a small amount of food. If your pet is an exotic, ferret, Guinee pig, hamster, please feed them as you normally would. When you check in for surgery, the receptionists will schedule you a discharge time for later that afternoon or for the following morning depending on they type of surgery. 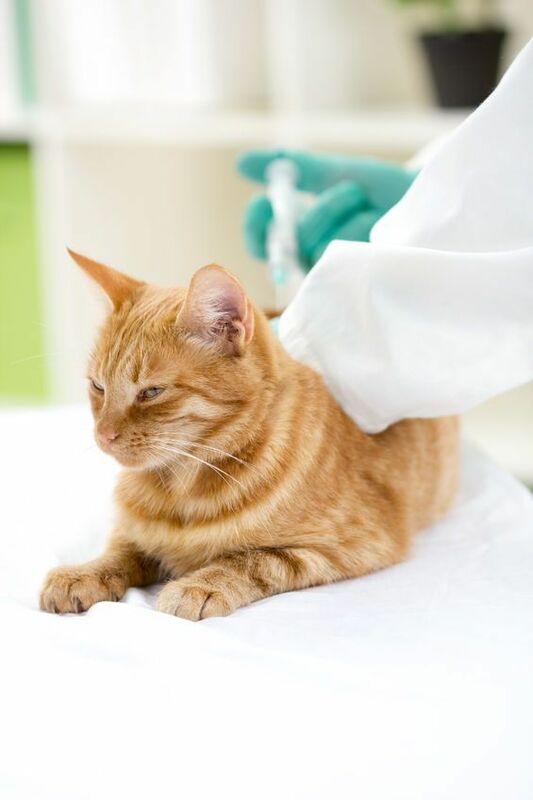 Once your pet is checked in with one of our veterinary technicians, they are taken to the treatment area where a catheter is placed and blood is drawn to run pre-anesthetic tests on your pet. Pre-anesthetic blood work is required for any animal going under anesthesia. This will provide us with the best information to do the safest procedure possible. Our internal organ functions are directly related to how the body metabolizes the anesthesia. Once the blood work has been run, and all tests have come back normal, the procedure is done. When you come in at your scheduled discharge time to pick up your pet, the Veterinarian will go over all of the proper at-home care with you. We also try to provide urgent care for our clients. However, if you feel your pet needs to be seen before you are able to schedule an appointment, our veterinarians will try to work you into the schedule. You will be asked to come in at a certain time and then we will work to get your pet seen as soon as possible in between our regularly scheduled appointments. There could be a wait time but we try to see all urgent cares as soon as we are available. We will have a technician or veterinary assistant check you and your pet into a room, get a history and then we will provide you with the approximate amount of time the pet will be staying with us. We will also provide you with a written estimate of the services that are being recommended for the health care treatment of your pet problem. You will be asked to sign the estimate giving us permission to do the recommended treatment and then you will be asked to provide payment of the treatments when your pet is discharged. We do have a clinician available after-hours for our regular patients. If it is after-hours and you are an established client of Elko Veterinary Clinic please call 775-388-8250, leave a detailed message with your name, phone number, pet's name and the nature of your emergency. Someone will call you back as soon as they are available. If you are a non-client please contact your regular veterinarian, you can leave a message and we will return your call if possible, based on the doctor's availability, as the needs of our regular Elko Veterinary Clinic patients must take priority. We require payment in full upon the discharge of your pet. Elko Veterinary Clinic accepts the following payment options with a valid ID, Check, Mastercard, Visa, Discover, Care Credit and of course no ID necessary when paying with cash. In order for us to continue to provide youhigh quality service utilizing the best medical technologies, payment is due at the time services are rendered. We provide estimates for all surgeries and hospitalizations. If you have not received an estimate, you are welcome to request one at any time for your expected charges. As always we try to give accurate estimates but unforeseen treatments and medication can change your estimate and we will try to keep you informed of these changes as they arise. Elko Veterinary Clinic offers discounted services to senior citizens and certain special cases, pre-approval is required on the special cases.